is something we strive to achieve everyday; and this isn't limited to the beautifully crafted pieces of jewellery we sell. 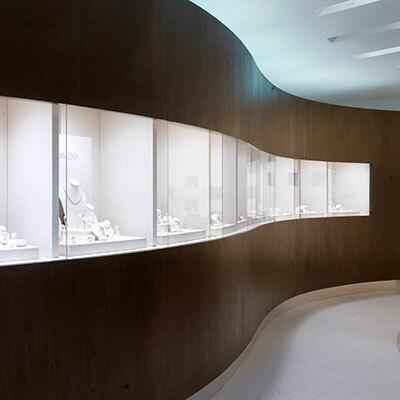 Alongside our stunning range of fine jewellery, engagement rings and wedding bands, we offer a selection of additional services to fulfill your every need. Pravins offer a professional repairs and valuation service. In conjunction with a world renowned independent registered valuer, we are able to provide valuations for insurance replacement, probate or sale. All valuation reports are presented in a Pravins portfolio with digital photographs, full descriptions and the current value of your items. For more information, please visit your nearest Pravins boutique where our friendly staff will be more than happy to discuss your requirements in depth. 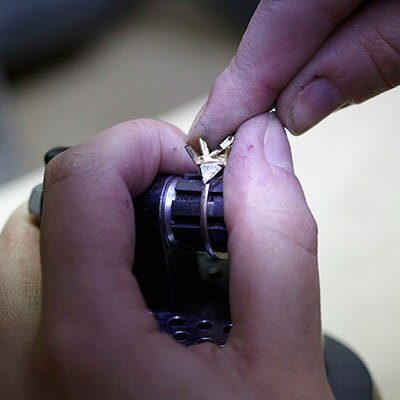 Engraving adds a personalised touch to your piece of Pravins jewellery to make it uniquely yours. 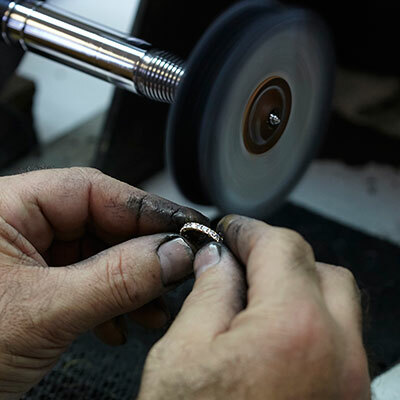 Whether it's your wedding date on your wedding bands, an inspirational quote hidden beneath a beautiful bangle, or a simple symbol on a plain pendant, engraving enhances even the most special gift. Ask for more information in your local branch or email admin@pravins.co.uk for further details or to enquire about engraving an online order. We are delighted to offer Interest Free Credit on Pravins pieces over £500 purchase in our boutiques. We regret that this service is not currently available for our online clients. As a working example, if your desired item was £2,000 a minimum 10% deposit of £200 is required to start the process. This would then be followed by 12 monthly installments of £150, with the total amount repayable at £2,000. For larger purchases we are able to offer extended repayment periods of 24 or 36 months. Ask at your local boutique for more information, please be advised you will require proof of identity, address and signature in order to complete the paperwork. Finance is provided by Hitachi Capital Consumer Finance, 2 Apex View, Leeds, LS11 9BH.